Does your yard have poor drainage? Do you often see water pooling in certain areas after a heavy rain? Have you been told that you need to install a retention pond if you want to add a patio or other hardscape elements to your landscape in order to comply with local regulations? Willow Gates Landscaping can help you solve storm water management problems for good to comply with local regulations now being imposed in many municipalities across the state. We offer many solutions beyond unattractive retention ponds that often create a muddy pool of water that disrupts the beauty of your landscape. Our solutions are practical, attractive and uniquely tailored to your landscape. 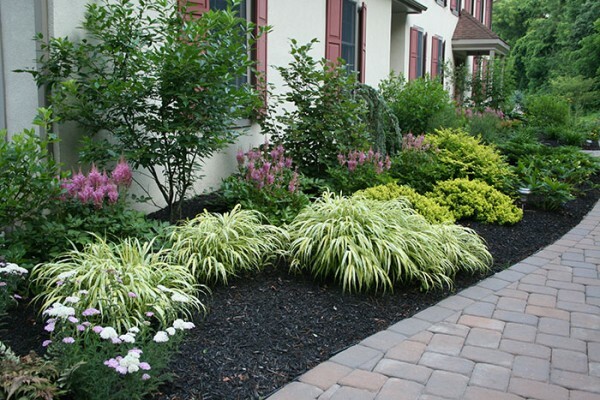 Adding a rain garden is often the most attractive solution to keep storm water on your property without disturbing other elements in your landscape. Our rain gardens include several species of adaptable plants that can handle a large influx of water, yet also look great without rainfall for several weeks. 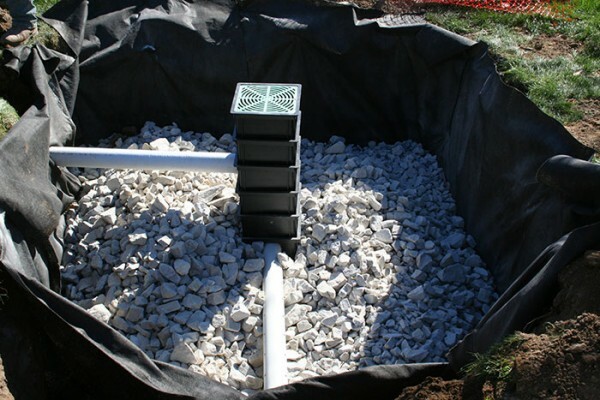 Infiltration beds are the perfect, out of sight, out of mind solution, since they are completely invisible and don't affect other elements of your backyard landscape at all. We simply dig a trench about 4 to 5 ft. down, then fill it with 3 to 4 ft. of stone that handles incoming storm water. One of the best ways to manage storm water is to incorporate more permeable surface area in your yard. 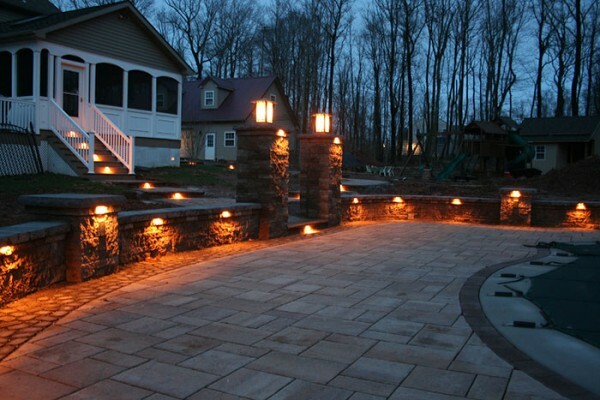 Typically patios and driveways are made of impervious materials that don't absorb water, causing excessive run-off. When you replace these impervious surfaces with permeable pavers instead, this often solves storm water problems and provides a complete, low-maintenance solution.